Anyone know some artists with a supernatural, shadowy, Victorianesque theme? Most of them I find are too 'gothic' for my taste- too much putrid rotting flesh, corny stereotypical stuff, &c.
I'm looking for surreal juxtapositions and anachronisms and an sense of loss yet underlying and present love. The ambition of the Industrial Revolution—steam-driven devices, air balloons, clipper ships, zeppelins... the pompous, ornate noble class and the sordid city-dwellers. If you could suggest anything remotely redolent of what I've described, I'll give you a metaphorical cookie, or even a sort of cake or pie. Any or all of what I've mentioned. Last edited by LukeTores; March 28th, 2006 at 11:19 PM. Contemporary or actual 19th century artists? Have you looked at Linda Bergkvist's work? She's quite well known and does lovely stuff, a lot of it along the lines you're talking. Last edited by briggsy@ashtons; March 29th, 2006 at 12:17 AM. check out the symbolists stuff too....there are sometimes some really moody images in that period...yummy. Rather than "victorian," try looking for "symbolist," "decadent," or "fin-de-siecle." Very cool stuff, checking it all out as I type. Thanks! I especially like Moreau's buildings in "Young Moses" and "Diomedes Devoures by His Horses". Grimshaw's landscapes are also amazing, and Dore's lithographs are insane. 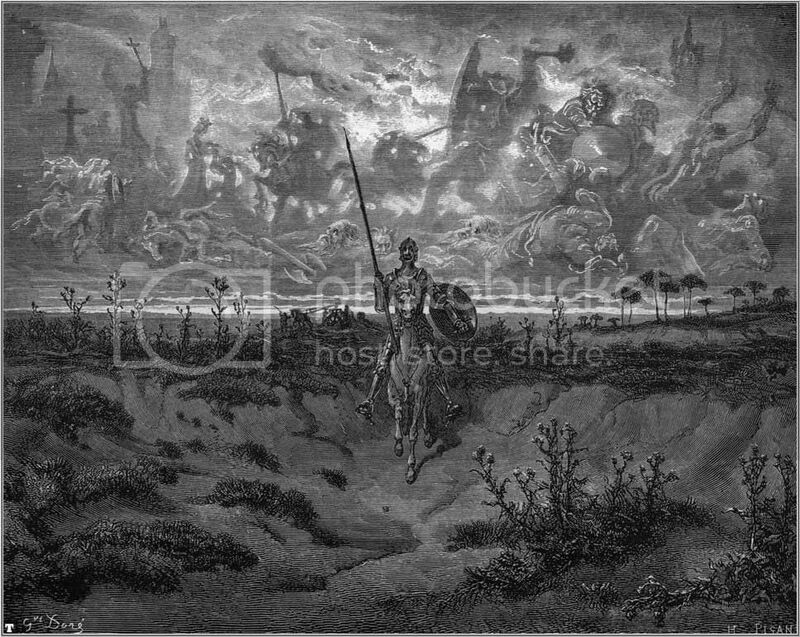 http://www.symbolistart.net/ has a lot of Symbolist paintings you're interested. Last edited by LukeTores; March 30th, 2006 at 11:44 PM.